No grandma, I didn’t become vegan. And yes, you, I know: calling something known + vegan is irky to me too sometimes. I mean, can’t we come up with a better name? 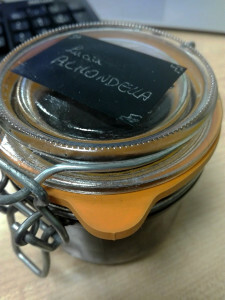 Yes, I did: almondella… you know nut – nutella, almond – almondella. And then Lucia because of Manzoni. Why should I make almonella instead of dipping a spoon in a jar? Well, because I have vegan, lactose intolerant, allergic to hazelnut colleagues, and I wanted to have a nutella party for my birthday at the office, so I needed something to include everyone. So I googled, and finding something that was vegan, lactose free and hazelnut free was a nightmare. If I didn’t have one, I had the other. 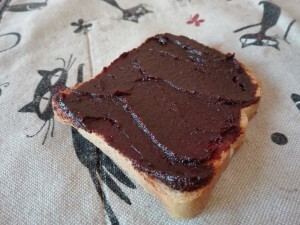 Or some other recipes were good ingredient-wise, but looked like plaster… I wanted something spreadable! I finally found one with almond butter, maple syrup, cocoa powder and water. Good! I didn’t have almond butter. Bad! So I had to make it. And this is why you get two recipes in one. 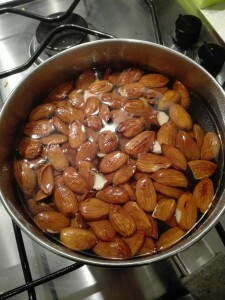 To peel almonds boil a pot of water, toss the almonds in for 3 minutes. Drain them and rinse them briefly under cold water (so that you don’t burn yourself). 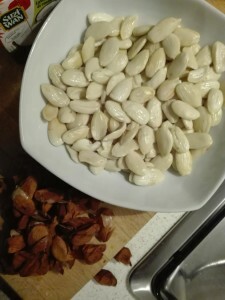 Then take an almond between thumb and index, squeeze. The almond will shoot right out (yes, shoot, catch it!). This is a quick process. 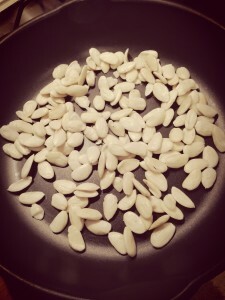 Then dry and toast them (10 minutes at 180° C, or in a nonstick pan untill some corners start to get golden). 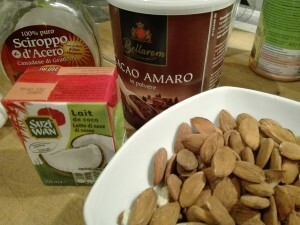 Put the almonds in a blender or a food processor, blend. 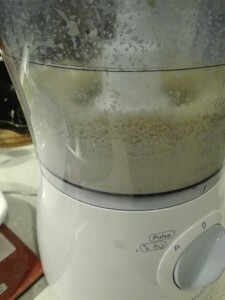 Pause (to save your blender). Repeat. Now you should have about a cup of almond butter. Mix everything with a fork, add coconut milk little by little. It might take less, or more, it’s needed only for the consistency. You want a thick yet spreadable cream. So adjust.